When you know that you want to start shopping for used Ford cars in Bothell, it is going to be a good idea to do a little bit of research online first. This will give you all of the information that you need so that you can pick out the perfect model to suit your expectations. Once you know the car that you want, you can then make your way to Carson Cars where you will have a great selection of Ford cars at wonderful prices. Carson Cars is a family owned and operated dealership that has been selling used cars for nearly 50 years. We take great pride in offering nothing but the best to all of our customers and we will stop at nothing to find you the perfect ride to match up with all of your needs and wants. Do you need creative financing due to having poor credit or no credit at all? Our talented in-house finance department is always available to work with our long list of lenders to get you into a loan that you can afford. If for some reason we are unable to get you the financing that you are looking for, we will pay you $500 for your troubles. How many other dealerships will do that? No matter what used Ford car it is that you have in mind, we will be happy to work with you to find something that fits just right in your lifestyle. Low mileage, clean, dependable vehicles are what you will find when you arrive on the lot at Carson Cars. 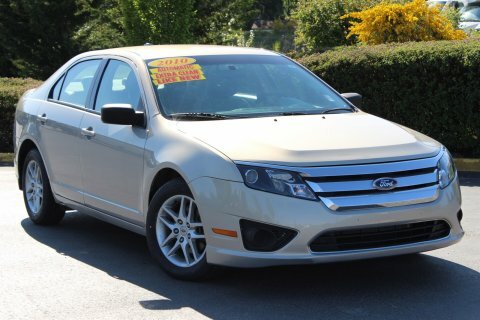 Buy your next vehicle with Carson Cars and shop used Ford cars for sale in Bothell. Call us (855)583-9356 today for selection and pricing information.